Become a Thames Discovery Programme volunteer - join the FROG (Foreshore Recording and Observation Group) and learn to monitor and record the archaeology London's largest open air arhchaeological site; the Thames foreshore. The training programme takes place over four days. It will include health and safety training, lectures about Thames archaeology from the Thames Discovery Programme team, foreshore fieldwork sessions on iconic London beaches and guided walks to sites of archaeological and historical interest. The training dates and locations are as follows, attendance at all four days of the training is required to complete the course and become a member of the FROG team. 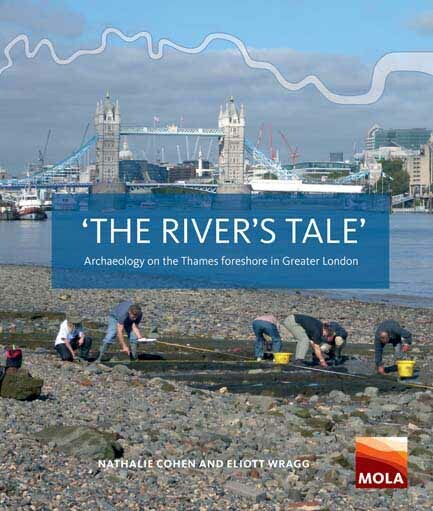 To book your place, please complete this form and email it to thamesdiscovery@mola.org.uk. If you would like to know more about what's involved in the training and being a FROG member, read the New FROG FAQs. Once you’ve completed your training, any fieldwork and monitoring you take part in with us is free. When Thames Discovery Programme receive your application form, they will send you a link and information on how to pay the course fee, either in full now, or alternatively, to pay a £25 deposit now and pay the remainder in April 2018. If you have any questions about FROG Training, please email thamesdiscovery@mola.org.uk. Londoners aged over 75: FREE! Thanks to the kind support of City Bridge Trust. When we receive your application form, we will send you a link and information on how to pay the course fee, either in full now, or alternatively, to pay a £25 deposit now and pay the remainder in April 2018. If you have any questions about FROG Training, please email us thamesdiscovery@mola.org.uk.